Oh Londontown, how did I forgot I loved you? There is much to not like about London, chief among them, what an expensive city it is. The Dawn Jogger is not sure when she was in central London last (she and the male DJ were at Watermill House in Benenden in 2006 but that’s journey still to come.) But in settling into a hotel in Knightsbridge they stayed in around 2000 (the male DJ was with Apple), all the neighborhood joints were immediately familiar. That so many remain is the surprise. 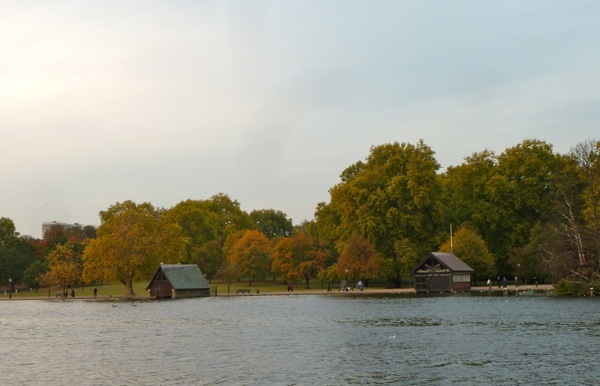 Today’s highlight was a dusk walk around the Serpentine in Hyde Park, a park that the DJs jogged/walked almost every square inch (and where the male DJ will forever remain). She was a bit late in the day to get a really fabulous sunset shot, but she loved looking west over the lake nevertheless. 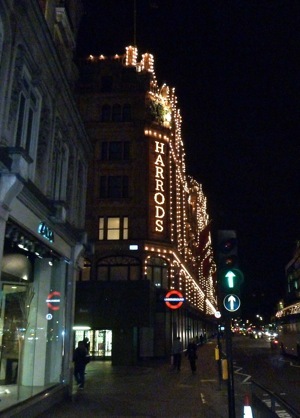 This entry was posted in On the road and tagged Harrods, Hyde Park, London. Bookmark the permalink. 1 Response to Oh Londontown, how did I forgot I loved you? It’s wonderful to revisit cities where one has pleasurable memories… and so comforting that so many things remain the same there.